Dysgraphia: 504 OR IEP FOR DYSGRAPHIA? Richelle: My son is 8. We easily got a 504 plan in place last school year for anxiety & ADHD- more recently he was diagnosed w/ dysgraphia, and tested as gifted. 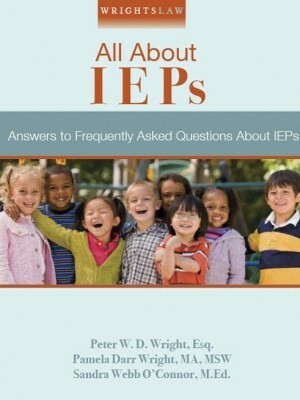 Should he have an IEP? I was told by his school there was not enough supporting evidence to include the writing disability in his current 504 plan. I realize that this is an old thread but I am responding just in case it may help someone else. I am also a public school teacher with a child that has dysgraphia. The single best thing that I did to help my son was get him privately assessed. Once you have a formal diagnosis from a licensed professional there is very little that the public school can do to stand in your way of getting the accommodations your child needs. You can get an advocate for children with disabilities from the department of education to attend your meeting with you. Your child’s teacher can be held accountable for not following the 504. Dysgraphia and dyslexia are not grounds for an IEP most of the time. Focus on the 504. The words you want, if your child has struggled with writing and your school refuses to acknowledge is: “failure to find”. It is important to get dysgraphia noted on an IEP because the more a child struggles with the *mechanics* of writing, the less they are learning things like spelling and proper grammar. I have an undiagnosed son who is completing 12th grade with a 504. His writing, even on a computer is horrific because he never grasped basic sentence structure because he was struggling to actively write. My youngest is in 6th grade. He has had a dysgraphic IEP in place for three years now (failure to find in my older son got me the testing needed for my younger son) and he has a lot of accommodations. As a result, my 12-year-old writes more coherently than my 17-year-old. The best thing for a child with dysgraphia is to let them use a chrome book to do their homework. My son has had it since kindergarten and was teased but the school offered no help. Once they let him do his work by typing his grades did a I80. He now is a freshman in High School and is getting straight A’s except for Art which you have to use a pencil. My son can type as fast as a courtroom clerk. Our school district went green and issued all students chrome books. It has made a major difference. My sixth grader is having the same issues. She’s had a 504 since 1st grade for ADHD/anxiety. I started bringing up her difficulties with handwriting back then. Since then, through private evaluation, she has been diagnosed with a slow processing speed and a 5 to 7 year delay in fine motor skills. Her handwriting is still mostly illegible, and her independent writing has zero structure. She’s now being graded on her spelling and handwriting and having trouble completing classroom assignments. She has extended time for testing. How do I get that to cover daily assignments too? She has a D in reading right now from not getting her daily reading logs done. A chrome book can do speech to text (and text to speech). Students who struggle with writing are not to be assessed for their weakness. Also oral testing is a solution. Teachers need to be supported in this switch! They need the training, help changing their philosophy, the time to listen to student’s responses (vs grading a paper). The student’s team needs to come together to create a plan for this part of the IEP. Include the PT and/or OT district person to help educate staff around this challenge. my daughter, also 8, has ADHD (cannot take meds due to complications with migraine), executive functioning issues, mild OCD and anxiety (mostly related to school), and we believe she also has dysgraphia. Working on getting a formal diagnosis. She is also highly gifted, but struggles with school work due to the writing requirements. I can’t understand how these kids don’t qualify for an IEP under specific learning disability, just because they’re smart. ?? anyone have any success getting help from their schools? You hav a ” twice exceptional ” child. A gifted student with a learning disability. Google this and learn all you can about it. 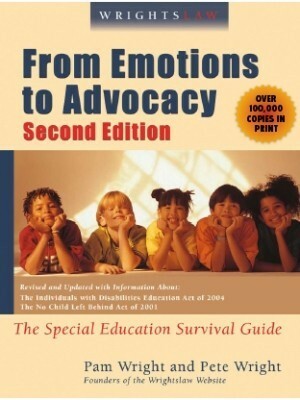 The Colorado department of education put out an excellent resource book, ” Twice exceptional students: Gifted Students with disabilities resource book. 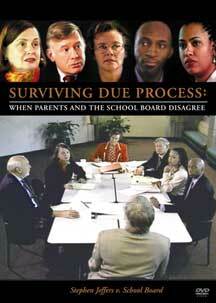 Get a hold of this , read it, bring it to meetings with your child’s school administrators. Request in writing that the school do a formal evaluation and know you’re rights. This is the most under identified, and least understood group of children in the public school system. They suffer tremendously because teachers lack the skills to recognize them and meet their needs. Best of luck. Thanks for the reply. I’m aware that my daughter is 2E, and absolutely being under-served. Her teacher this year didn’t even honor most of the provisions in her 504 because she didn’t believe they were necessary. 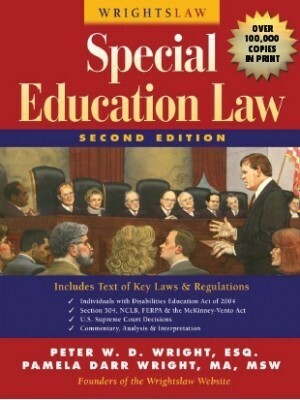 My husband and I are both teachers, and very aware of the laws governing special ed. Unfortunately that hasn’t helped us. Our district is adamant that she doesn’t need an IEP because she’s getting all A’s. (she’s getting A’s, but it’s KILLING her! The stress on her is unbelievable and she’s only in 3rd grade!) I’m considering going back to school for a PhD and doing a dissertation on twice exceptional kids, and the failure of schools to recognize and support them. What I need right now are answers to help my daughter get through school so things don’t get worse! A meeting with all the district support specialists: OT, PT, psychologist, sped district coordinator, her teacher and a teacher of a grade where her skills are, principal all need to come together. 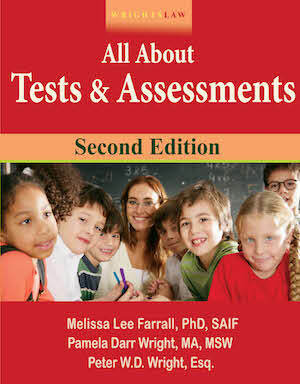 A clear understanding of your daughter – all of her; the testing, cognitive and achievement an and any other. Include descriptions of her disability. Anxiety is a part of ADHD. The goal is to create a plan to support all of her challenges – spell them out. I would not allow the meeting to end until each concern is addressed with an action. They key plays then meet in a month to review the plan. And keep meeting until it is working. Get an educational advocate – especially if teaching in the same district as your daughter is attending. Document the anxiety & challenges you see. My son has Dsygraphia. Writing involves more, cognitively, than meets the eye. The act of writing involves planning, sizing, letter forming, alignment,controlling the pressure placed on & direction of the pencil+ more.Fine motor skills (&often the small muscles involved) are impacted in a neg way. Just the act of writing is hard. The writer also has to track what he is writing about, what has been written, what he will write next & filter out what might not be pertinent. When the body/brain is struggling to physically meet the demands of the task alone, writing becomes frustrating & laborious. Lightening the cognitive load by supporting the phys demands allows the thoughts to better be put on paper Priority is get thoughts out not how. We found it helpful to remind the people in our 504 meetings of the above. We have even had to have the school psychologist attend meetings to validate this. My son is in 7th grade and is severely impacted by his dysgraphia. I need some SMART goals for a kid who is according to Aims web test in the 4th percentile for writing. Please suggest or send me a link to where I could find some? I can not get my son diagnosed with dyslexia or dysgraphia because he test right at the line his IQ is very high so they say he can learn. He did not qualify for an IEP but his principal finally agreed to a 504 plan. He is in 3rd grade will it follow him through high school? “504 is cradle to grave … IEP is through HS” starts a good discussion for parents and students. Regardless if you are going into the workforce, college, etc., it is smart for a student to know his/her rights, documentation requirements for colleges, etc. The IEP does not close the door after after school but one needs to know what is involved if one is going to college, etc. 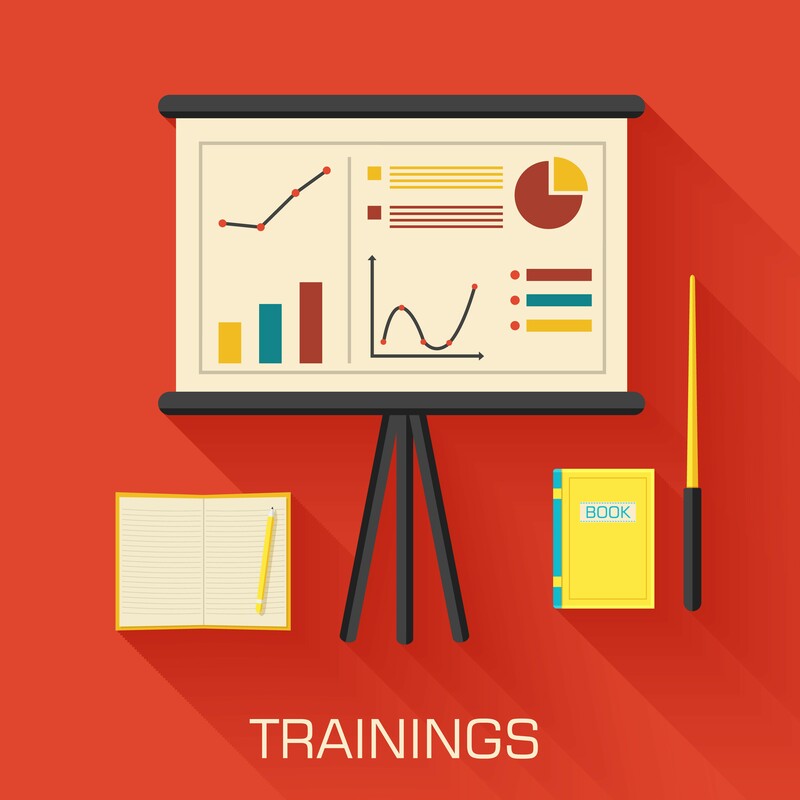 to request accommodations etc, such as specific current evaluations and testing. There is a process involved and a need to understand expectations and rights. That is why transition planning is important and should start early. I advise students and parents to keep IEPs for a while after after school as employment specialists and other agencies may use such as a starting point for discussions. I had the same problem but when my son was six, we took him to a Developmental Pediatrician who diagnosed him with dysgraphia. Once we had a medical diagnosis, the district started serving him. that is not in the scope of practice for pediatricians. They aren’t trained in learning disability identification. Put the writing into his IEP now! My son is in 7th grade and the dysgraphia is not part of his IEP, and his 7th grade teacher refuses to accept his handwritten work if she can’t read it and she won’t let him type because she wants it in “her workbook!” Get it in now and keep it there because it will be middle and high school where he will need that protection in his classes. Good to know because I am currently going through this with my 3rd grader. He has been diagnosed with dysgraphia and is on a 504. I am in the same boat because I have been told to do it while they are in elementary because it is difficult once they reach middle. His teacher now believe he is just not trying and wanting to get out of his work. I have a psych eval and OT eval stating the facts that his writing is non-functional. Do you know what I would have to do to request and IEP for SLD instead of a 504 so he could receive more services or should I keep him on a 504? Send a written request for special ed testing to the principal, & the district special ed office. They need to respond in writing yes or no, & give reasons for a no answer. How /where did you go to get dysgraphia diagnosis ? I’m having a hard time finding a testing center that will diagnose it in TX. Julie, If you haven’t done this yet, suggest you get a comprehensive psychoeducational evaluation of your child by a clinical psych or educational evaluator in the private sector. When a child has dysgraphia, he usually has other related problems that need to be identified. I’d go with the IDA Providers first. School districts say that they don’t have to accept an outside psychologist’s evaluation, particularly if it contradicts the PsychEd evaluations done by the district’s psychologist. It is for this reason that we and a lot of parents do to a Developmental Pediatric Center. If the child is diagnosed by a medical center, the district immediately accepts the diagnosis without further challenge. Scottish Rites in Dallas diagnosed my son with dysgraphia. Go to a Developmental Pediatric Center. They are typically associated with University Medical Hospitals. Since these are medical doctors, you get a medical diagnosis and the district must accept the diagnosis. This information is not accurate. There is no provision in IDEA or the Texas Education Code that supports this statement that districts have to accept a medical diagnosis. Just because a student has received a medical diagnosis does not automatically mean that this medical diagnosis will impact the child educationally. Thank you for the advice!! So glad I found & joined this site – very helpful information! Well, you can accept things as they are (sounds like this is not your top option)! You could request a due process hearing under Section 504, to dispute the appropriateness of the current plan. The school should give you info on how to do this (it varies widely by location). 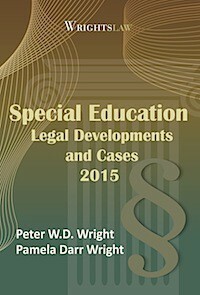 Or you could request an initial evaluation for special education eligibility. The school could refuse – and you could request a hearing. The school could conduct it and find him ineligible – and you could request an independent evaluation and/or hearing. Or they could find him eligible and it’s on to IEP development! It’s hard to say which is the best option for you. It really depends on how you think your son will best be served. Thank you for responding. We had an outside psych. evaluation done, and the report was very detailed – plus notes from previous year teacher and my option which all indicated he needed accommodations for writing. At the time of the meeting his current teacher of only 2weeks stated he was doing fine -And that is what they sided with, and I was beside myself. Go on up the chain of command to the school district Special Education Director. If all else fails go to the State Board of Education. 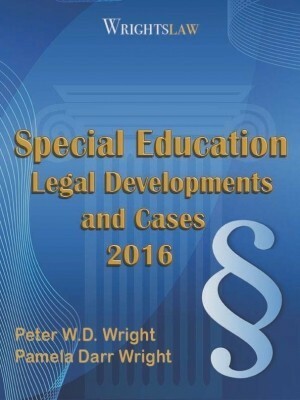 After 10 years of advocacy for my child I will tell you that unless you are very lucky to be working with a local 504/IEP Team that truly follows the law to provide for the unique needs of your child, you will be swimming up stream. There is a letter dated 10/23/15 from the US Department of Education. Office of Special Education and Rehabilitation Services signed by Michael York that focuses on ensuring that a high-quality education is provided for children with unique educational needs with specific learning disabilities (SLD), i.e. dyslexia, dyscalculia, and dysgraphia. 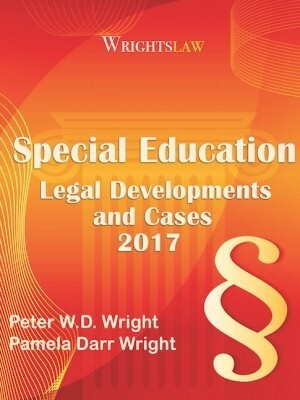 If your child has been diagnosed with a SLD he qualifies for services under IDEA. My daughter also was accused of not trying. The principal called her “defiant” and I told her she wasn’t qualified to make that diagnosis (in front of the whole child study team), You have to put the request in writing specifying that you believe you child may have a learning disability. I honestly was happy with the 504 plan for my daughter. Academically, I was told she didn’t meet the eligibility for an IEP. Her writing was low C to high D, the rest was As. I knew that was too big of a valley and that she needed help. She got OT and 3 days a week of pull out services just for writing. She also got extra time for writing assignments and tests which took the pressure off her. By 4th grade she was done with OT and extra help outside the mainstream classroom and 504 was gone by 7th. I would start with a list of the ways your son is adversely affected by insufficient supports, and a list of the supports you think would be helpful for him. (By the way, you can help him learn to touch type at home, with, for example, http://play.bbc.co.uk/play/pen/g8s4pb547b. That will help tremendously in the long run.) Read your state’s guide to testing accommodations to get some good ideas. Try to get the teacher to try some of these ideas out informally. If that doesn’t work, you might want to request an IEP, as a bargaining move. But the ideal would be to simply strengthen his 504 plan. Yes, an IEP would give you greater protections and state oversight, but it can be difficult to get with these diagnoses. Thank you so much, that is very helpful!! If the school did not assess, you have a few more options. If you think a 504 plan will meet his needs, you can ask that they assess his need for dysgraphia-related supports. If you think he needs more support than a 504 plan will provide, ask for the special education evaluation. This route provides you with more procedural protections. You will still have a right to a due process hearing, but also have the right to publicly-funded independent evaluations and parental participation in plan development. If you’re not sure which way to go, ask for the special education evaluation. Again, this will provide you with more procedural protections. And if your son is found ineligible, the results can be used to update the 504 plan. What info did the school use to decide not to include dysgraphia in the 504 plan? Did they assess your son in this area, or did they simply rely on evidence provided by you? 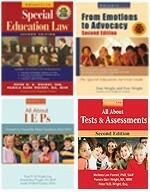 To be eligible for an IEP, a student must have a need for specially designed instruction (i.e. modifications). This is a higher standard than for a 504 plan, where students must only have a need for accommodations and/or related services. If the school DID assess for dysgraphia, asking for an evaluation for special education eligibility will not likely do much good. 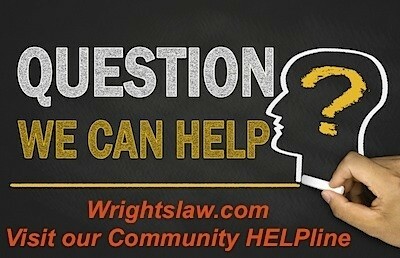 You can ask for a due process hearing if you disagree with the results of the assessment or the content of 504 plan.